Why Did This McLaren P1 Suddenly Erupt In Flames? Thanks to a tip from a CarBuzz reader, we’ve learned about this McLaren P1 by MSO that just recently caught on fire somewhere in the UK. Unfortunately, we still don’t have any details regarding what happened and the driver’s condition, but two things are crystal clear: the P1 is engulfed in flames and it’s completely totaled as a result. It hurts to even write that. This is the first time we’ve heard of any P1 catching fire, but it’s certainly not the first time (or the last) that a hypercar goes up in flames. Looking closely at this P1, it appears the fire started in the engine, as the flames are shooting out from the engine compartment. We also noticed a trail of liquid on the road that without a doubt came from the P1. If we had to guess, and we’re pretty confident on this, that’s fuel. A fuel leak of some sort could easily start a fire in a matter of seconds. 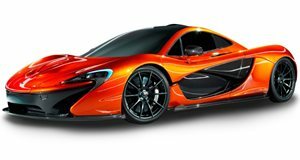 The P1’s 737 hp, 3.8-liter twin-turbo V8, which is also paired to a 178 hp electric motor, has a solid reliability history. McLaren also utilizes detuned versions of it in the rest of its lineup, so hopefully this is a one-off situation. Regardless though, this P1 is a goner. Hat tip to Grant.